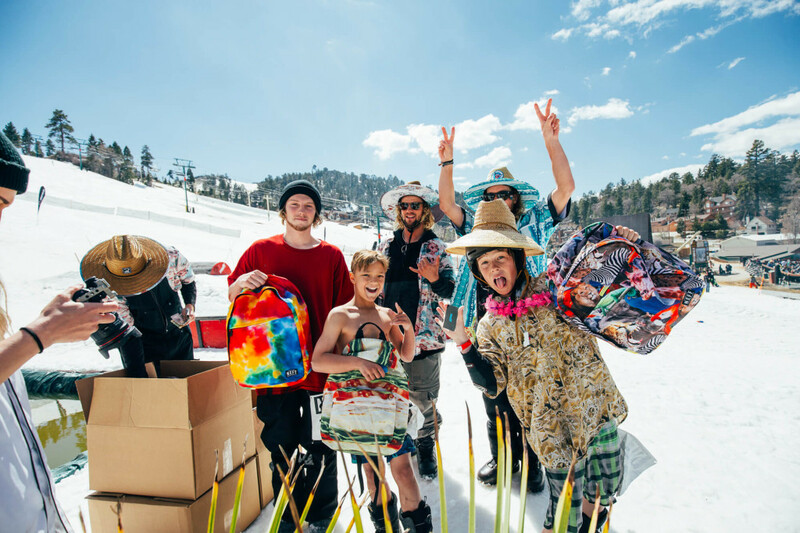 Once again Bear Mountain’s beach ballsiest event, The Neff Beach Bash, made its annual spring splash at the famously sunny California resort. 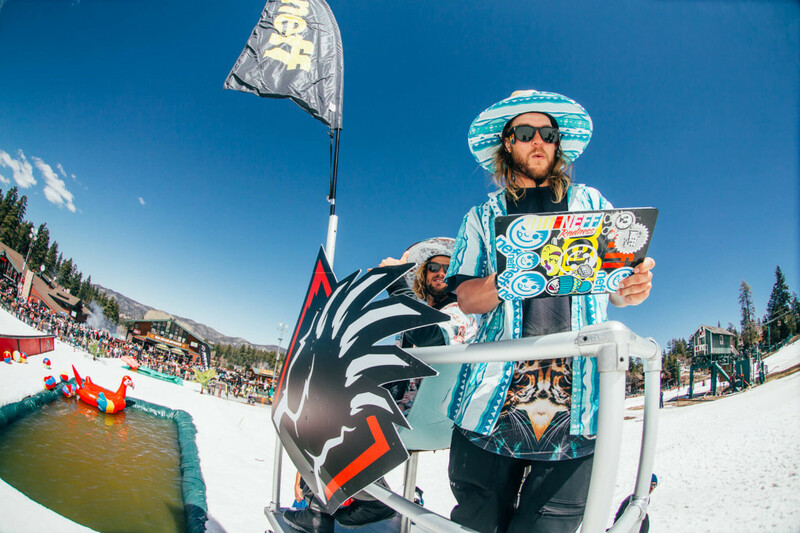 Parasols were unfurled, beach attire was donned, and sun burns were rampant as attendees and competitors enjoyed the sultry weather, soft snow, and gratuitous tacos that Bear had to offer. 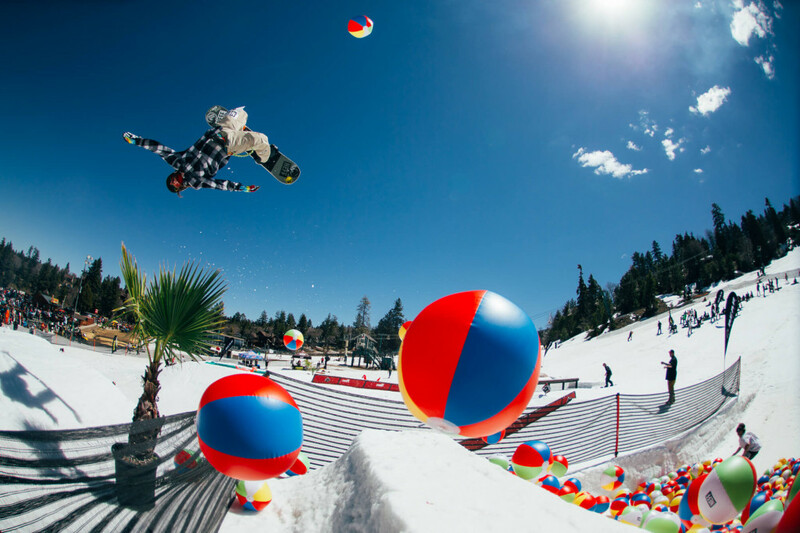 This year, the Big Bear park crew pulled out all of the stops building one of the best courses yet, with a two tier water feature, a variety of jibs, and a jump with an in-run through a pit full of beach balls! Wahoos Fish Tacos provided tacos for all, drinks were flowing, and good vibes were in full force. Until next year Bear!